Ensure customers never lose important data and meet legal and regulatory requirements with our new cloud-to-cloud solution for Office 365. 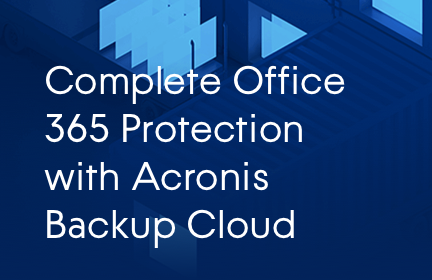 It protects Microsoft Exchange Online, OneDrive for Business, and SharePoint Online data by backing up the items to the secure Acronis Cloud Storage and enabling flexible recovery options. This means customers gain access to granular, point-in-time and crosstenant recovery and the ability to preview and search for content within backups of all three services.